To sum up Doctor Who in one sentence, the Doctor is a time lord alien from the planet Gallifrey who travels through time and space in the TARDIS. Four actors played the role during the eighties and these were; Tom Baker, Peter Davison, Colin Baker and Sylvester McCoy. There are nine fabulous Video clips in the playlist above featuring all of the four 1980s Doctors. Who was your favourite? 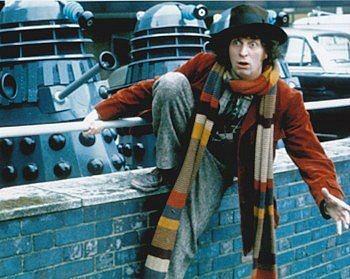 Tom Baker was definitely my personal favourite, although the storylines could be a little too dark and gothic at times. I also really liked the dandy Jon Pertwee from the 70s and William Hartnell as the first Doctor. The TARDIS (Time And Relative Dimensions in Space) has been disguised as a Police Box since the very first serial in 1963, An Unearthly Child. Every jelly baby scene with Tom Baker. In this amusing video we have all of the clips featuring Tom Baker offering his Jelly Babies to anyone and everyone - including the creator of the Daleks, Davros! This is an interesting clip of Tom Baker being interviewed on a Thames Television programme called Afternoon Plus. I can't remember ever watching this, but I was busy at school during the weekday afternoons. Listen out for Tom's answer to "do you drive a car?" - I totally agree with him on that one! 1979 New Season Advert for Doctor Who and The Daleks. 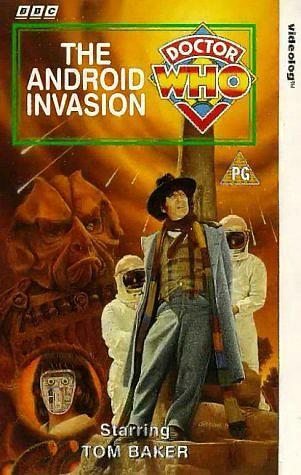 Features two trailers with Tom Baker. Peter Davison closing titles. These closing titles (used from Jan 1982 to March 1984) are longer than the opening titles and you get to here more of the fabulous theme tune. After listening to this again for the first time since the 80s, I reckon this has to be my favourite version of the theme tune. As for the more recent series, it sounds far too orchestral for my liking. This lame new version of the theme music helped to put the final nail in the coffin for Colin Baker's much criticised role as the timelord. This was the 13th theme tune overall. It's Colin Baker - whether you like it ot not! Lots of stills and photos of the sixth Doctor feature on this video. Although many criticised him in the 80's as being the worst Doctor Who, today there are just as many people who believe he was underrated. Maybe it was just the loud outfit that was his downfall - Who knows? I didn't realise there were so many different versions of the theme tune until I started creating this page. I quite like this one as it sounds quite eerie. Better than the '86 version, anyway! Second Doctor regenerates - Troughton to Pertwee "The War Games"
Disclosure: Simplyeighties.com is participating in the Amazon and Redbubble affiliate advertising programs. These are designed to provide a means for websites to earn fees by advertising and linking to their products. One of the most popular Doctor's, Tom Baker, was the fourth incarnation of the timelord and played the part between 1974 and 1981. 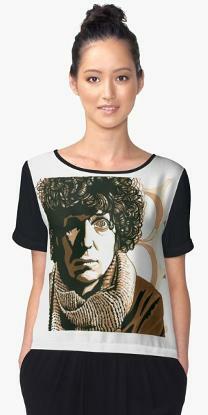 For many Dr Who fans, Tom Baker is THE Doctor. 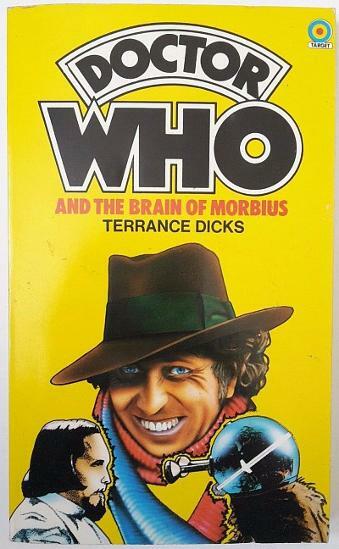 And judging by a poll we have conducted on Facebook, the vast majority of people agree that he was the best Doctor from the original classic series. 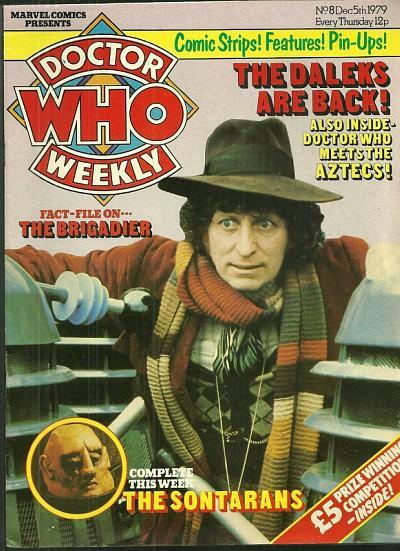 Thanks to Baker's popularity, by 1979, viewing figures were averaging between 9 and 11 million. 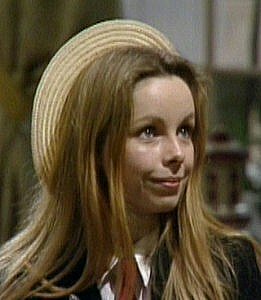 Audiences of 14.5 million tuned in for the four part Destiny of Daleks story, and this was the first time that we got to see Lalla Ward play his companion Romana. 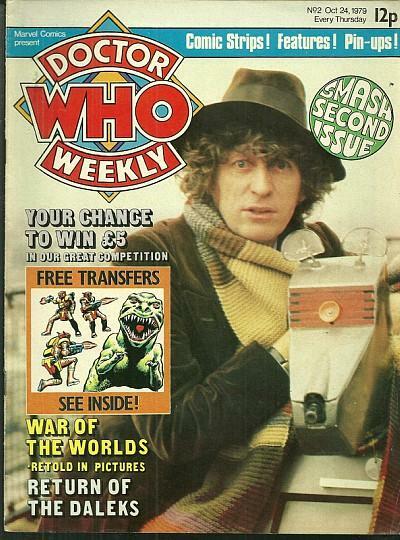 From Baker's iconic hat and scarf outfit to those manic eyes, this was a very charismatic Doctor who added drama to even the worst the storylines, as well as a touch of humour by offering his enemies a jelly baby. Baker appeared in 172 episodes (42 stories). He was replaced by Peter Davison. Baker is, of course, also well-known for his voice over role in the hit BBC comedy series Little Britain. Tom Baker had eight companions during his time as the Doctor, with K-9 making the most appearances - in seasons 15-18 he appeared 20 times. Other companions were Sarah Jane Smith, Harry Sullivan, Leela, Romana, Adric, Nyssa and Tegan Jovanka. Romana was first played by Mary Tamm and in her second incarnation was played by Lalla Ward. You may remember this range of paperback books that were published by Target back in the 70s and 80s. A good many of them were written by Terrance Dicks. Dicks is now 82 years old and enjoying his retirement. His last novel was Revenge of the Judoon featuring the tenth Doctor (David Tennant) with Martha Jones, which was published on Feb 28th 2008. 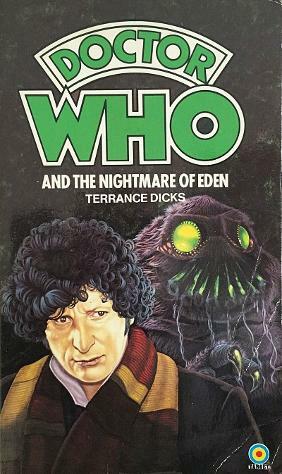 The cover of the book "Doctor Who and The Invisible Enemy" by Terrance Dicks which was published in 1979. 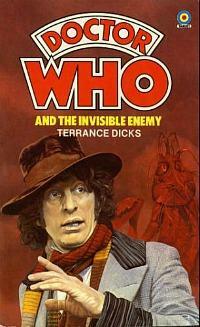 In The Invisible Enemy TV serial which was shown in 1977, the Doctor acquired K-9 the robot dog. 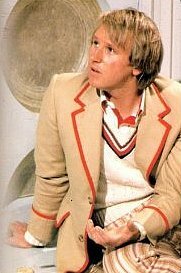 Peter Davison signed-up to replace Tom Baker in 1981, and played the role for just three years (he was scared of being typecast) between 21st March 1981 and 16th March 1984. At the age of 29, he was the youngest Doctor so far, and he remained the youngest until Matt Smith took on the role in 2009. 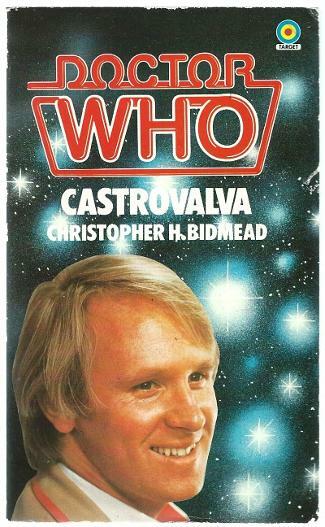 Despite his boyish looks, Davison was a pretty safe bet for the BBC. He was alreasy well-known to the British public after appearing as Tristan in the hit BBC series All Creatures Great and Small. His Edwardian cricketer costume was a decent choice and was in-line with the eccentricity of the character. The fifth Doctor's companions included Adric, Nyssa and Tegan. Referring to the Jodie Whitakker's role as the first female Doctor, Davison controversially stated in July 2017 that while she is a "terrific actress", this is also "a loss of a role model for boys". Colin Baker was the sixth incarnation of the Doctor and played the role between 1984 and 1986. Baker appeared on ITV1's reality TV show I'm A Celebrity Get Me Out Of Here during November 2012. The seventh incarnation of the Doctor (in 1987) was Sylvester McCoy and he made his first appearance in the serial Time and the Rani. The best part of his outfit was his question mark walking stick. 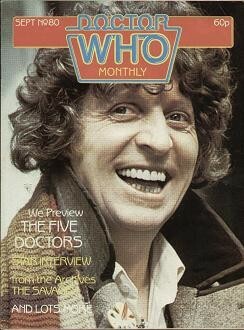 Interestingly, no BBC TV annuals were published during his time as the Doctor.